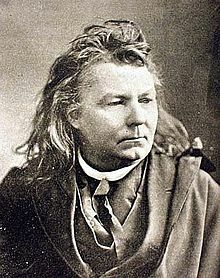 Forever allied to Confederate America, Abram Joseph Ryan was born in 1838 in Maryland and went onto become an influential priest and one of the most recognizable poetic voices of the southern states of America in the 19th Century. His parents had emigrated from Ireland and he was their first sibling to have been actually born in their new adopted country. Ryan’s family soon found work on a plantation where his father was in charge of the slaves and earned a reasonably comfortable living. After a few years, however, he set out to run his own store in the heart of St Louis where young Ryan finally began his schooling at St Joseph’s Academy. From early on, he had an attachment to the Christian way of life and he was largely encouraged by his peers to become a priest. In 1858, Ryan’s father died suddenly and the young man was sent to study for the priesthood in New York but he was not entirely happy at the seminary. He wanted to focus on theology and this was not being provided by the college, something he complained about to his superiors. After threatening to leave, Ryan was given more instruction and devotion to theology and even had his younger brother come to assist him. It wasn’t the only thing that concerned Ryan as the abolitionist movement was beginning to gather pace in the north, something he, as a southerner, was largely opposed to. Because of his writings at the time, he was sent back south but continued his religious studies. He also developed a gift for speaking and gave a number of lectures before being ordained in 1860. Shortly after this he moved to St Mary’s of the Barrens to teach although his time was interrupted there after several periods of illness. With the election of Lincoln and the rise of the abolitionists, the Civil War in America was only just around the corner and Ryan was dismayed to find himself posted to Illinois where he found it difficult to express his Confederate views. By 1864, however, he moved to Tennessee and had begun acting as a kind of freelance pastor to the Confederate Army. It was here that most of his well-known poetry was composed including In Memory of My Brother. He was present at a number of major battles during the war and, in 1865, wrote The Conquered Banner. Towards the end of the conflict, Ryan became something of a wandering pastor and traveled throughout the southern States, finally settling in Augusta where he started the magazine The Banner of the South. His poetry became popular with both those in the south and north of the United States, mainly because the majority of it was religious in nature rather than political. In later life, blessed with an incurable restlessness, Ryan spent his time publishing his works and touring the country giving lectures. He would regularly recite his most famous poem, The Sword of Robert E Lee, and did so during the unveiling of a statue to the Confederate leader in Virginia. Ryan finally died in 1886 at the age of 48 and his body was taken to St Mary’s in Mobile for burial.